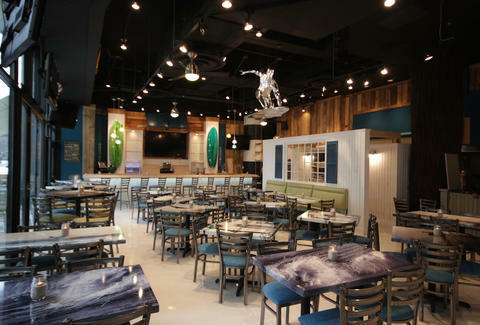 One of the guys behind Twisted Taco and his business partner decided to throw a SoCal twist on things with Big Kahuna: a surfboard-and-waterski-equipped beach oasis serving tropical cocktails to go along with fresh seafood, burgers, tacos, and other eats they're calling "Baja-Mex", which will make your stomach significantly more happy than the Baha Men. 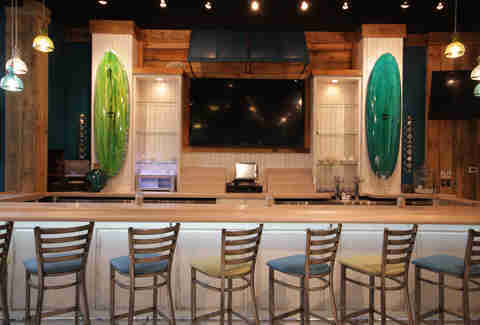 The bar's backed by boards from a custom shop in Cali, and the 80in flat screen showing regular-people sports will make you not care. 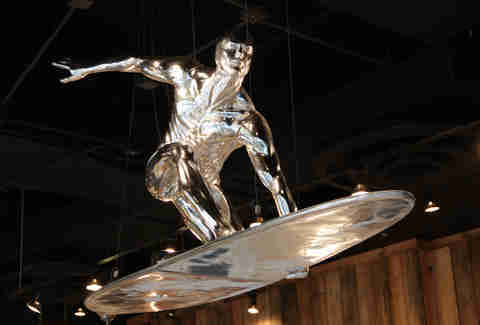 When he's not flying around the universe trying to avoid getting eaten along with a planet by Galactus, the Silver Surfer dangles from the ceiling here. 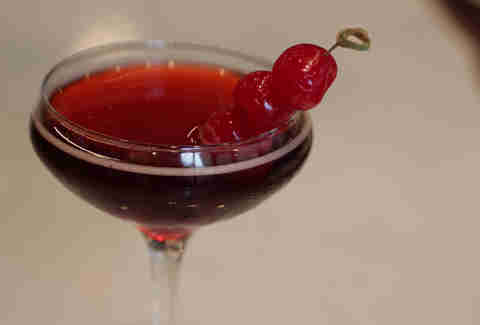 While the rest of the cocktails (including a Coconut Water Mojito) swing a little beachier, their West Coast Manhattan still makes you feel like you could surf thanks to Buffalo Trace & sweet vermouth. 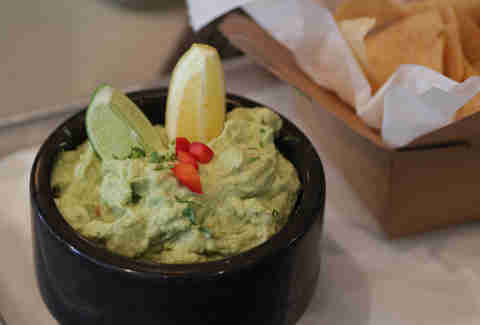 Get to snackin' on this heaping bowl of Humamole, the shotgun marriage of their signature hummus and guac. 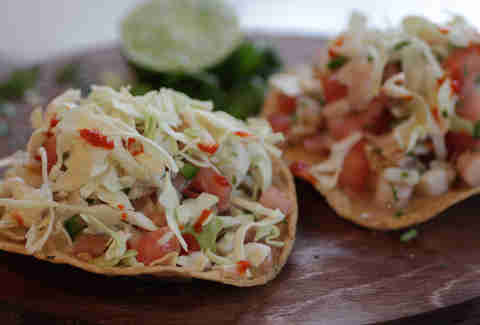 Big Sur Ceviche Tostados use fish & shrimp, shaved cabbage, sriracha, and zero hippie communes. 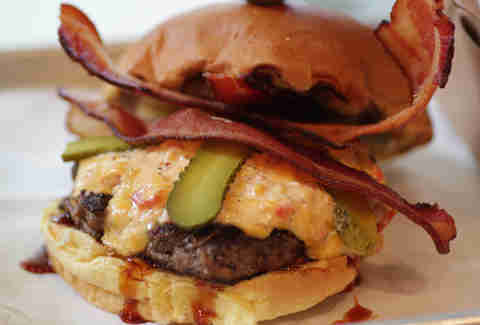 Quell the rivalry and go with the West Coast Meets East Coast BBQ Burger with chipotle citrus BBQ sauce, wicked pimento cheese, "Mom's pickles" (which raise some serious questions about Mom), and thick brown sugar bacon.